In just five minutes, the ultra-rich will be able to bypass Thanksgiving traffic and make it to their private planes. Most Americans will be spending hours waiting in airport security lines or burning daylight in bumper-to-bumper traffic to get to their Thanksgiving destinations. But the super rich have other plans. Because avoiding the dreaded commercial holiday flight isn't enough, a new service will allow Manhattan's .01% to charter a helicopter to take straight to their private plane, bypassing any traffic on the way to the airport. And they're guaranteed to have a helicopter waiting for them within 20 minutes of booking. 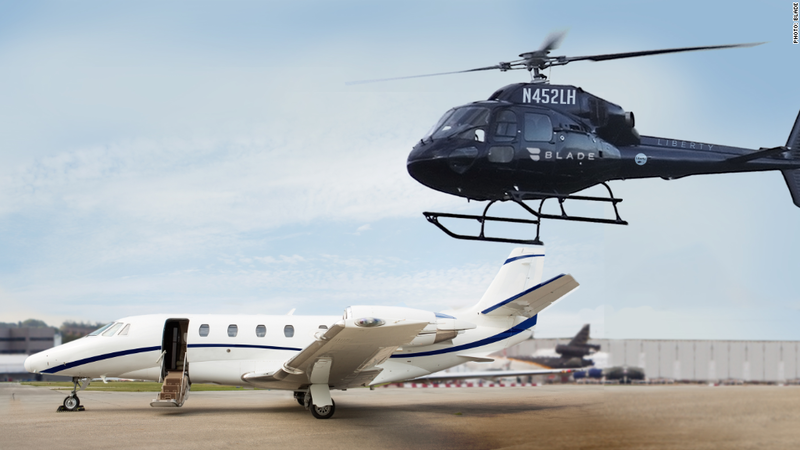 Starting today, Blade, the app-based aviation service that flew the rosé drinking well-to-dos from Manhattan to the Hamptons for $575 a seat all summer, will let customers book a copter from Manhattan heliports to the ritzy private Teterboro Airport in New Jersey. The service, called Blade Bounce, uses helicopters operated by Liberty Helicopters. It can take up to an hour to drive to Teterboro, but no rich person's got time for that. Bounce will get them there in five minutes. That five minute ride costs a pretty $800 for six seats, or $2.67 cents per second -- what the company is marketing as a downright bargain. A press release about the service said that current offerings from competitors are priced up to $3,500. Greg Ramey, Blade's director of new markets said that if a group of six travelers took a car service, it would cost the same amount as using Bounce. There may soon be hope for plebeians not flying private who want a piece of Bounce's convenience (and maybe the rosé in a branded cup it offers passengers). Blade said it expects to be able to fly to large New York City-area airports in the near future.